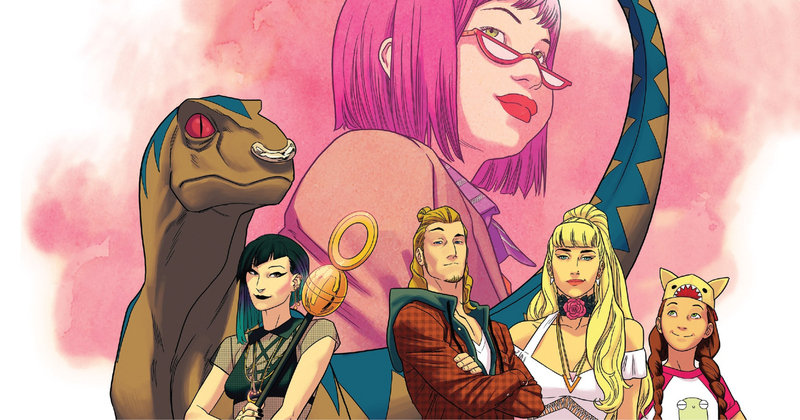 Alex: Today we’ve been running the assorted One Week One Comic threads I’ve been tweeting over the past month. For the sake of completeness, though, here’s a post adapting the thread that started it all – not on a single issue, but the first two trades of Rainbow Rowell/Kris Anka/Matt Wilson/Joe Caramagna’s RUNAWAYS. 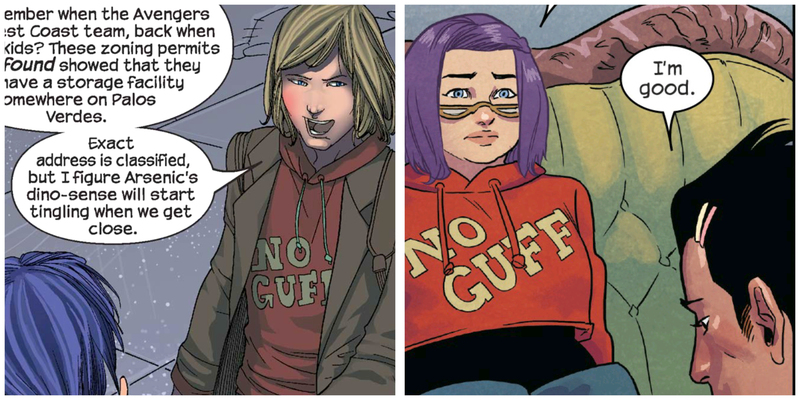 Spoilers up to issue #12 after the cut. The way Nico’s spells are treated as a limited resource, with no repeats. (An idea from the original series, but this really, ahem, runs with it.) It forces magic to be inventive and novel, rather than a solve-all. 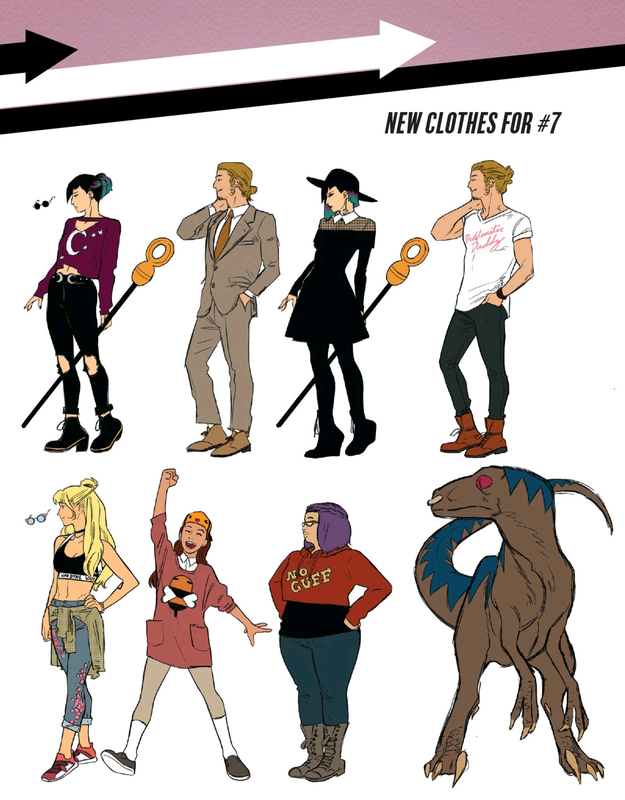 The new outfits Anka designs for every issue. 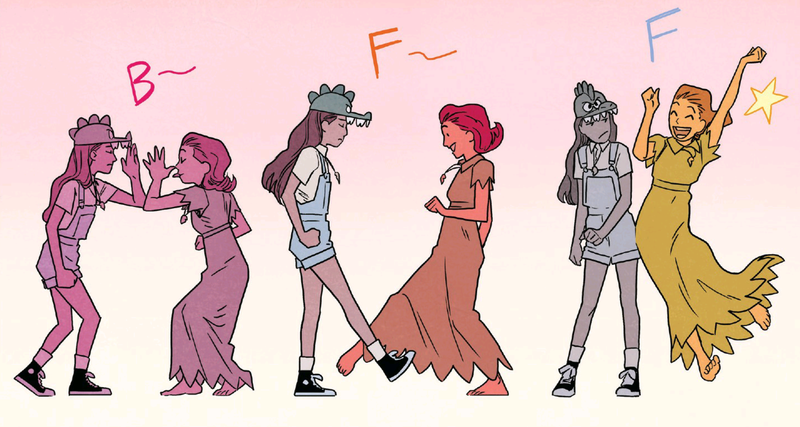 Each character has a consistent style, without wearing the same clothes over and over. It’s a wardrobe, not a costume. 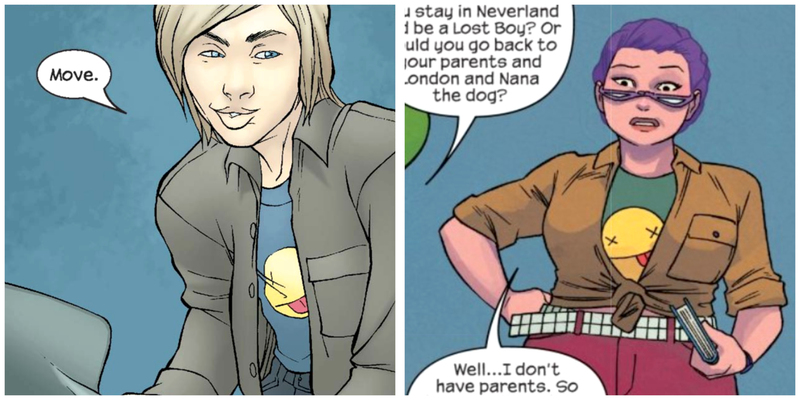 Relatedly: Chase’s outfits from the ’00s series being recycled as clothes for Gert. It’s a neat touch that suggests so much about her character, and a cool visual easter egg for old fans. In fact, the whole team are great at treating all of these characters’ appearances (which, of late, have been increasingly scattered) as part of their story. Avengers A.I. 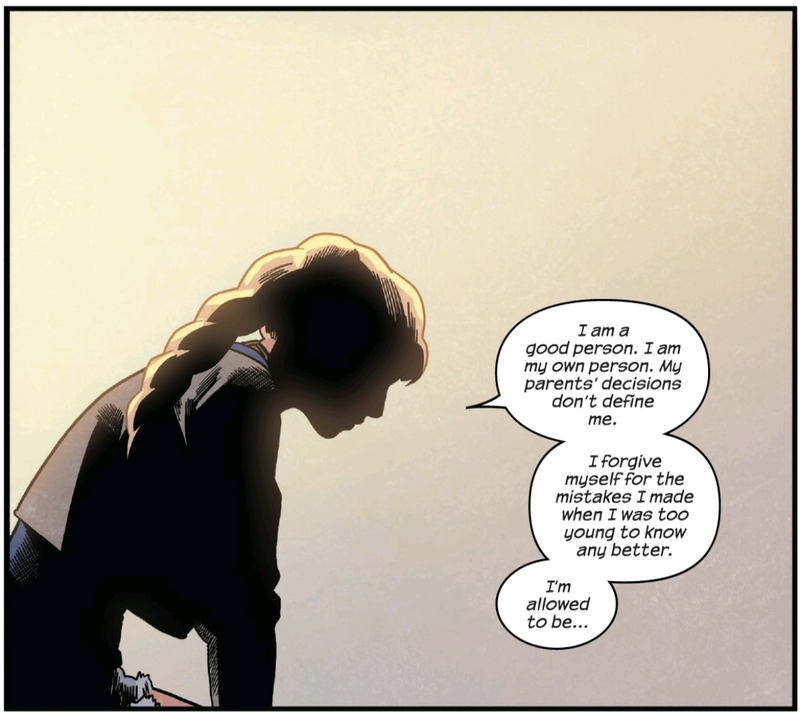 and The Vision are integral to Victor’s arc here. I actually like all three stories more as a result. Also: DJ Roomba Vic! Lookit him go! 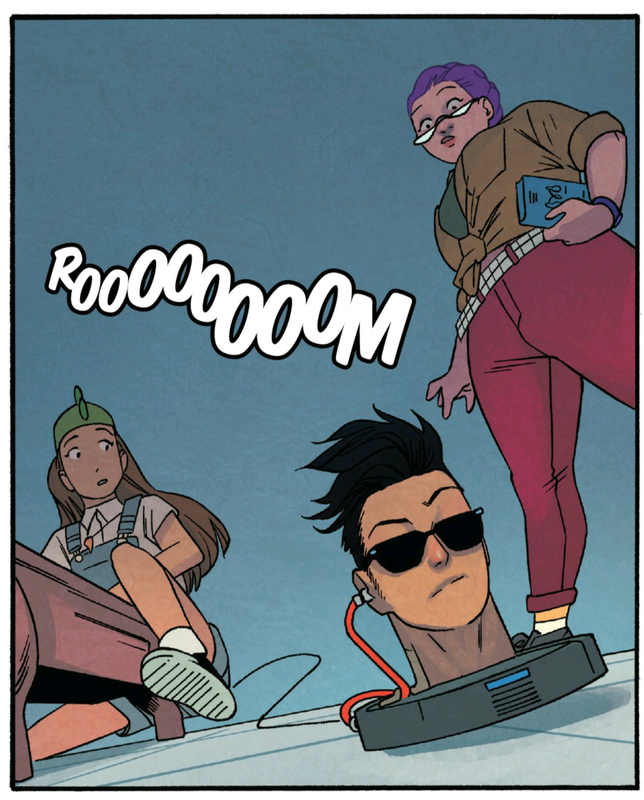 Kris Anka is a Genius, pt 1: The pages where he just keeps the ‘camera’ static and pushes the characters’ ‘acting’ to the fore. 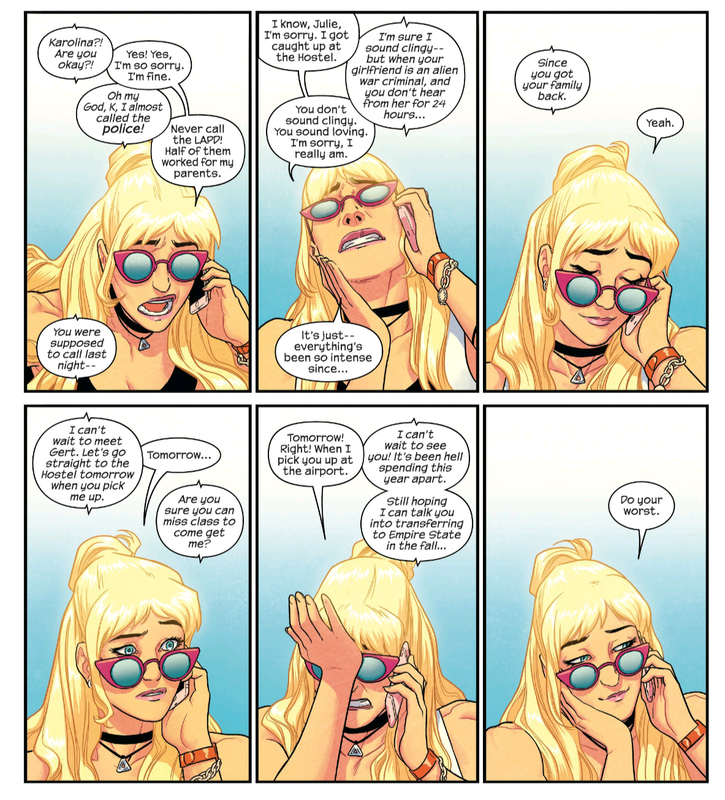 Kris Anka is a Genius, pt 2:He’s also really good at simplifying characters down to their cartoony basics, while keeping them 100% recognisable and readable. 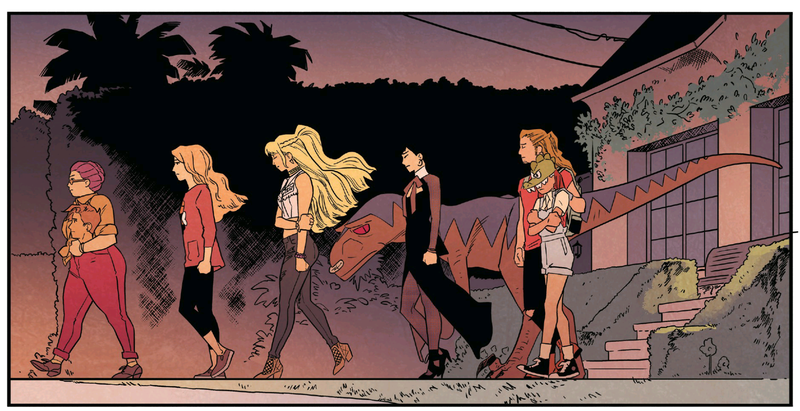 Kris Anka is a Genius, pt 3:Kinda combining the aforementioned skills, team shots where everyone’s doing their own thing. It’s like those crossover double-page ‘rushing into action’ splashes, concentrated into a single panel. 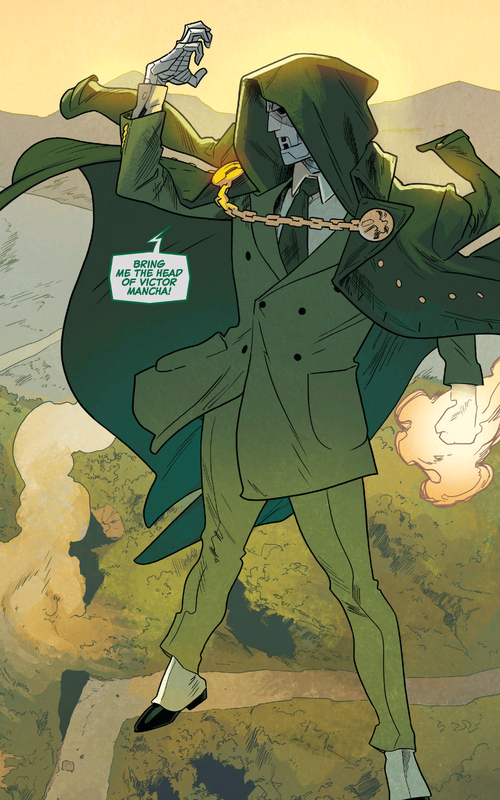 Look at how snappily dressed this Dr Doom is. Now that is a tyrant I’d bow to. 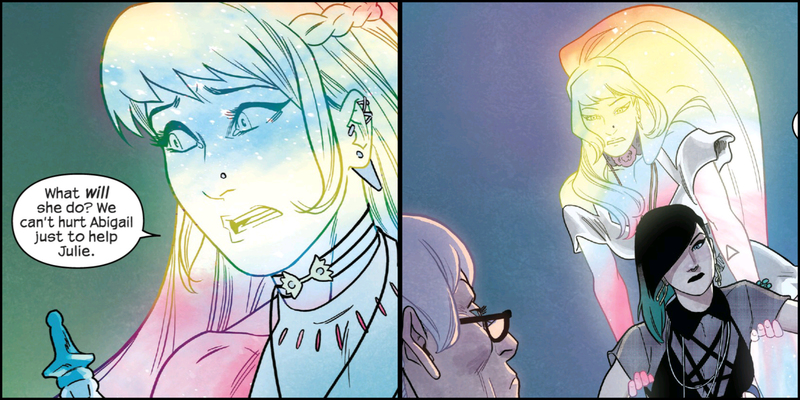 There could not be a more perfect showcase for Matt Wilson’s colouring pyrotechnics than Karolina’s rainbow powers. 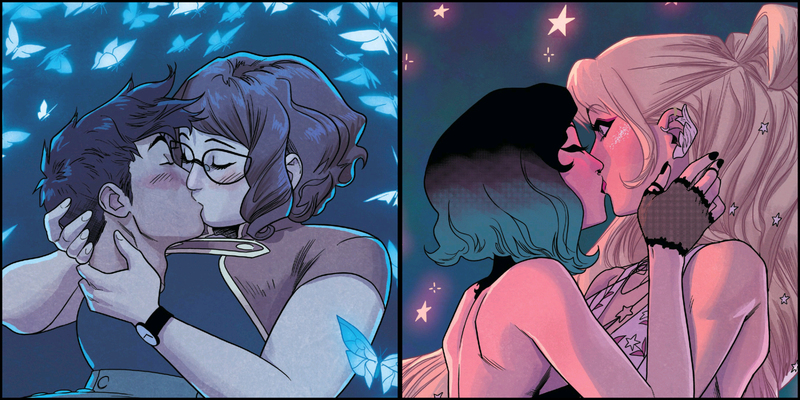 Between Rowell’s groundwork with the characters, and how Anka sells the moment, some of the best kisses in the business. Enough romance to make even a bitter old man like me swoon. 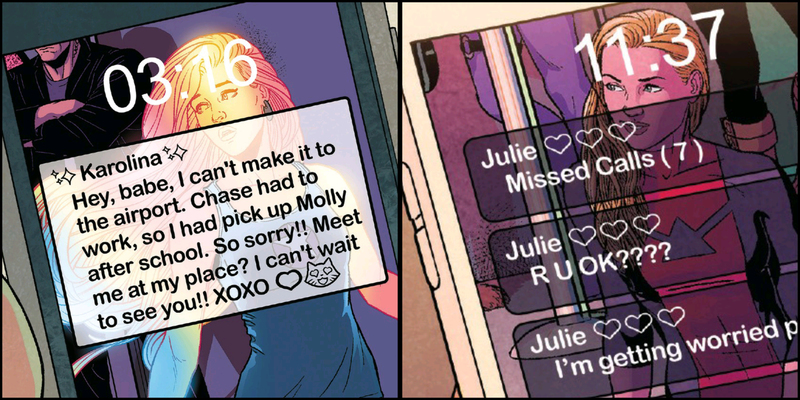 Nice Little Easter Egg #4,129: Karolina and Julie Powers’ phone backgrounds are pictures of each other as drawn by Jamie McKelvie, from the cover of Young Avengers #15. See what I mean about its handling of the characters’ pasts? 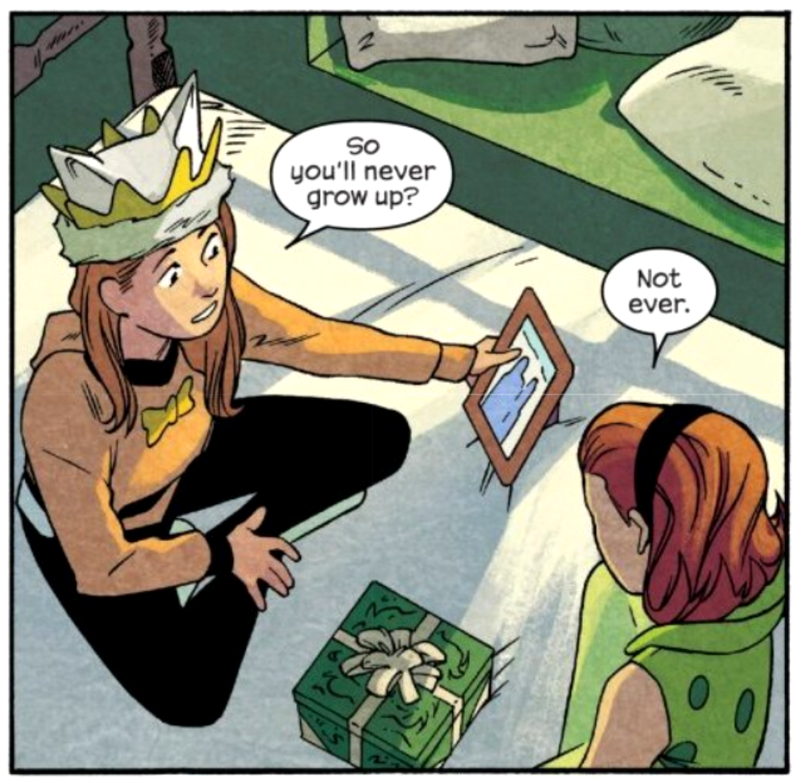 At the same time, it’s a comic about not being held back by the past. Both of the main villains so far, this was their main flaw. 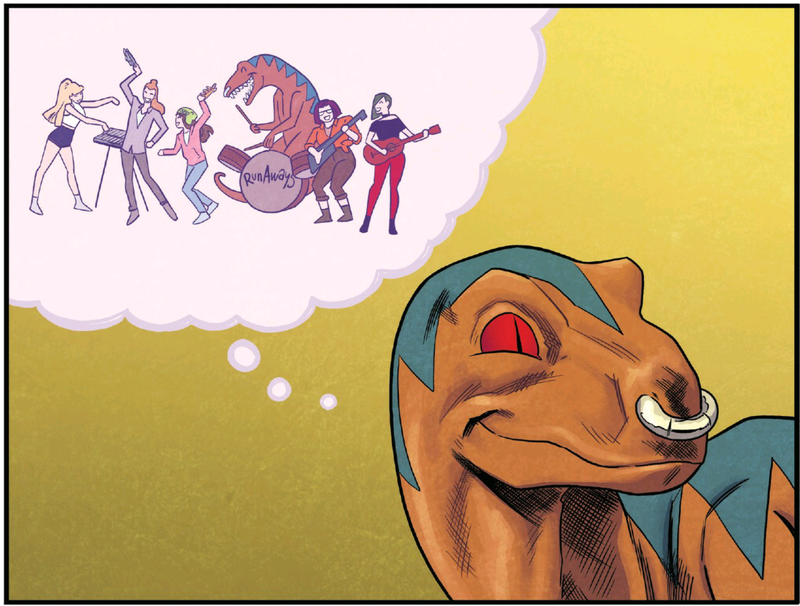 It’s a neat extrapolation of the themes of the original Runaways, and especially interesting for a comic about resurrecting* old beloved characters. Rowell is fantastic at writing the age differences in a cast that runs from 13 to 20. We’re talking gaps of a year or two – but that makes a huge difference when you’re a teenager, and you can really feel it here. 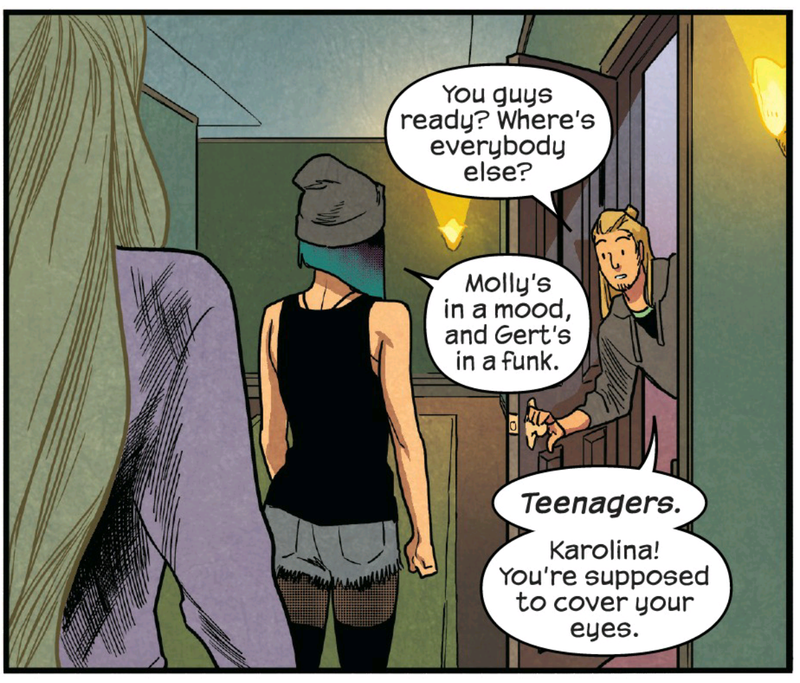 Also, this scene with Karolina vocalising as a way of dealing with intrusive thoughts is, um, pretty relatable.